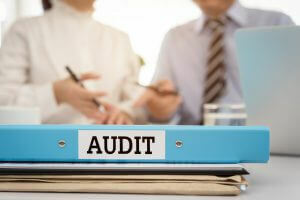 As external auditing refers to the reviewing of overall performances of a company, it reflects the authenticity of all work done in an office for the smooth working of a business corporation. Many business establishments do not prepare detailed reports for all transactions taken place in their organizations. In the future, this has long-term adverse effects for they lack in-depth records for future usage. External auditing is a task of complete authenticity performed by accounting experts who tend to make a critical analysis of a business in terms of all pros and cons which have already taken place in order to help out the future working of an office. Therefore, it helps in proving the credibility of a business. Credibility of a business refers to the trustworthiness of its operations which are proved through external auditing. Such publications that appear can have an optimistic impact if an organization and establishment has striven hard to achieve its goals. Entrepreneurs are known to be the individuals who design, plan, and then implement a new idea into the market. They strive hard to run a business efficiently but, even for them, it is necessary to know all regarding their business. It is the fundamental requirement to carry out effective operations of a business in the future. External auditing report tends to view all weaknesses and strengths of an establishment in terms of business transactions. This can then be utilized by business owners in order to avoid future crises as well as to create sustenance in operations which tend to produce maximum returns at minimum cost. However, external auditing plays a role of substantial importance in terms of portraying all activities taken place in an organization within a particular period of time in front of entrepreneurs. Declaring of false assets and earnings is considered an illegal act which can affect the running of an establishment in pessimistic terms. It should be avoided by all organizations. Appropriate declaring of assets is done through technically designed reports which are made by going through the whole procedure of external auditing. This is how it also helps out in boosting the corporate image of a business. External Auditing is the art of reviewing all activities which have already taken place in an organization. It is an act of intrinsic value owing a substantial significance which ultimately boosts the corporate image of a business.